To view the ashram brochure, click here. This beautifully located ashram is an ideal country retreat with panoramic views, lakes, streams forests and fields. Two-hours drive north of New York City, it offers a relaxing, tranquil and secluded environment in the foothills of the Shawangunk Mountains in New York State. 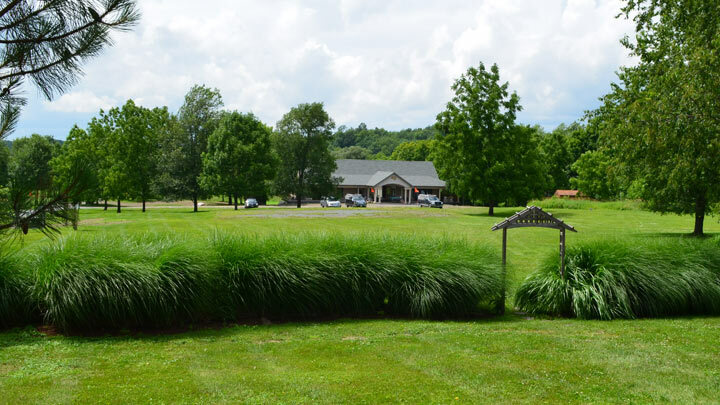 The 294 acre property provides a glorious natural setting for spiritual renewal and growth. 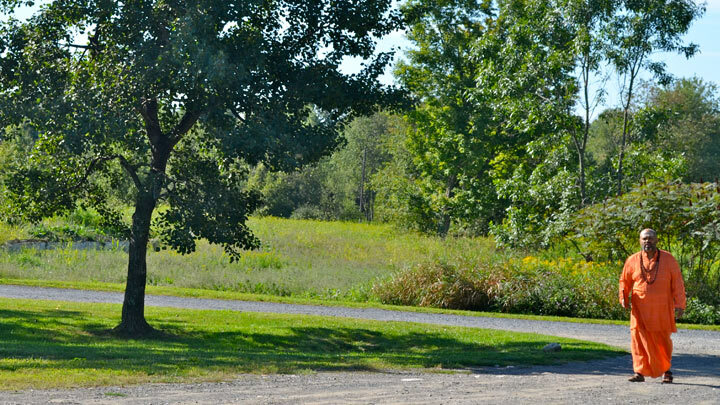 The ashram provides a perfect environment for spiritual practice. The daily routine includes Sanskrit chanting, meditation, and kirtan. The Ashram also offers weekly Hatha Yoga classes, monthly meditation retreats, family retreats, music concerts, and Meditation Intensives. 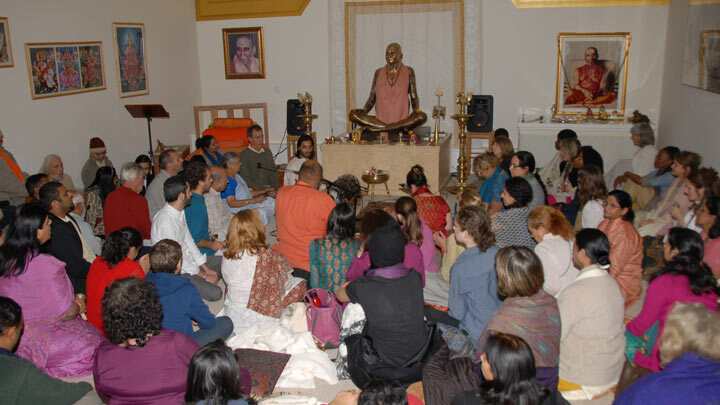 Swami Nityananda is in residence when he is in USA. Namaste, the reception building, contains many facilities to provide amenities for the ashram staff and visitors, including commercial kitchen, bakery, dining hall, reception lobby, reading area, full bathrooms, laundry facilities, gift shop, and conference room. Residential accommodation is available along with camping facilities in summer months. Transport can be arranged to and from New York City.